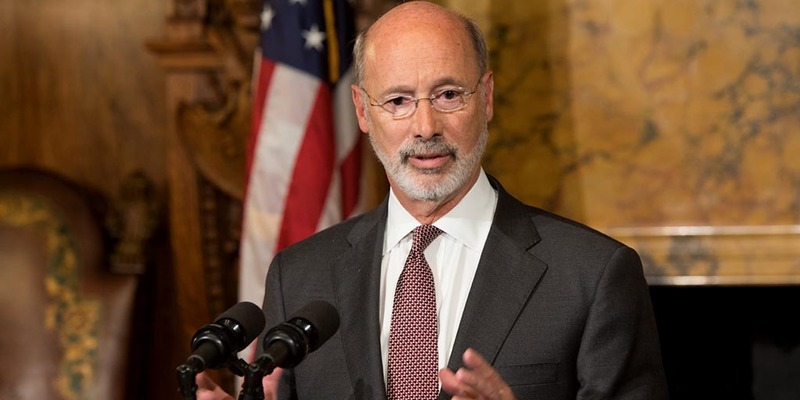 Governor Tom Wolf today urged the General Assembly to send him House Bill 939, which would hold state, county or municipal government officials and public employees accountable for crimes related to their official duties by requiring them to forfeit their government pension and pay appropriate restitution when they plead guilty or no contest to any crime related to their official government position or any felony offense related to their office or employment. The bill, sponsored by Rep. Scott Petri (R-Bucks), also includes federal crimes that are classified as felonies or are punishable by a term of at least five years imprisonment. Houe Bill 939 passed the House in May with strong bipartisan support.